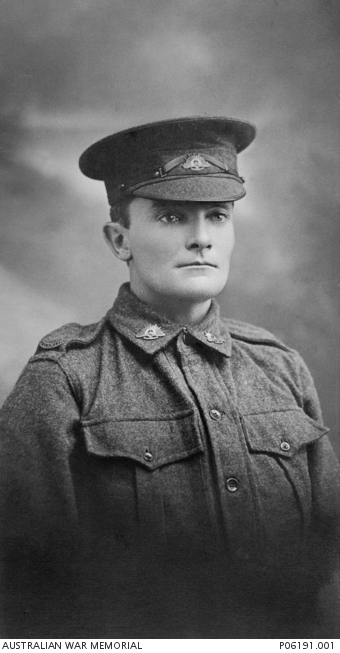 Studio portrait of 4771 Private (Pte) Charles James Smith, 20th Battalion, of Leichardt, NSW. An accountant prior to enlistment, he embarked for service overseas from Sydney aboard HMAT Ceramic (A40) on 13 April 1916. Later promoted to the rank of Sergeant, Smith died of wounds, aged 30, in France on 8 April 1918.